Easily locate blockages and infiltration problems, determine the effectiveness of cleaning operations, and aid in planning renewals of older sewer systems to avoid costly failures in service. 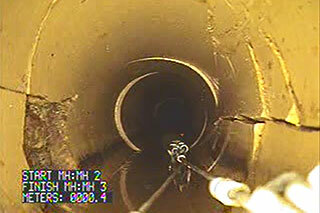 Proper Inspection of new sewer lines ensures correct installation and compliance to engineering specifications. Mandrel testing of PVC pipe can also be provided. Using NASSCO’s standardized defect coding, we communicate underground problems in a simple to understand format that assists you in making well-informed decisions on maintenance and rehabilitation. Our crews travel anywhere in Western Canada, call us for pricing on your project today!